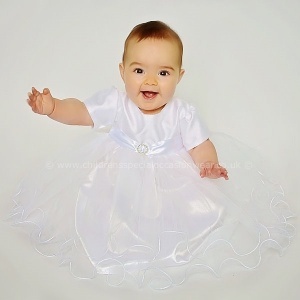 Baby girls white diamante tulle christening dress, perfect for your baby girls special day. Dress: This dress has a fully lined white dupion bodice. Featuring a stunning ring of diamantes on the centre of a white satin sash which beautifully ties around the back into a large bow. 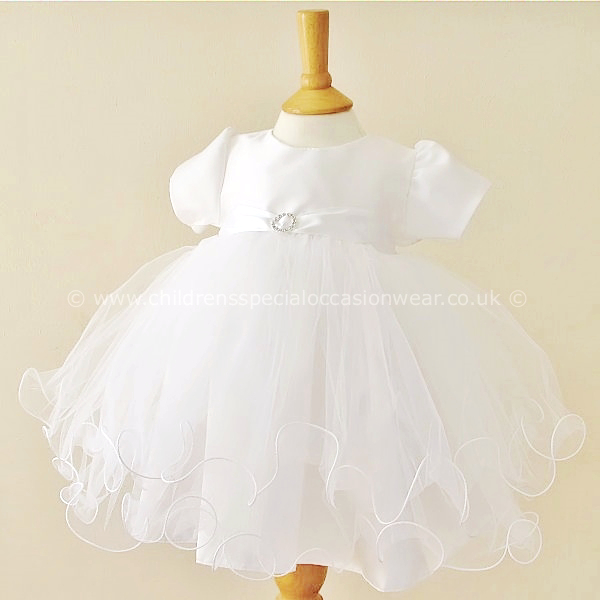 This dress has short puff sleeves with a discreet zip fastening at the back. Two layers of fluttered net tulle with piped edging complete with a satin underlay.